Are you thinking about advancing your career in nursing by pursuing an advanced degree in the field? 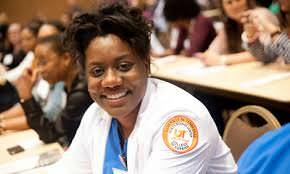 If you want to keep up with the transforming health-care system by earning your MSN and becoming a nurse practitioner or specialist, you should take time to learn about the prerequisites all graduate students must fulfill to get accepted into a Master of Science Nursing program. While the program requirements will vary from school to school, accredited programs have prerequisites that are similar in nature. Read on and learn about what classes and experience you will need to ensure that you can become a certified specialist in the rewarding field of nursing. educational requirements that are set by schools that meet either of these agencies’ standards when you start to compare all of the programs that you would like to attend. Most accredited schools will require that students applying for admissions into a CCNE or NLNAC graduate program have a bachelor’s degree from an institution that possesses either accreditation. While most schools require that students have a nursing degree, some schools will have special requirements for non-nursing students with a degree in another field. Students who are pursuing an MSN to become a specialist will need to have completed specific courses related to the specialty. Be sure that you have the specific courses under your belt before you finish your BSN. Schools will look at an applicant’s GPA when demand for enrollment is high, but having a low GPA is not always a deal breaker. Students may be able to prove proficiency by scoring high on admissions exams. Schools that offer MSN programs want to be sure that the graduate students that are accepted into the program are competent. Graduate-level nursing programs require students to score adequately on 2 different exams: the Graduate Record Exam and the Miller Analogies Test. These are national exams that you can take at any center in the country and have sent to the school of your choice. Be sure that you take the time to study for these exams as the scores stay valid for years. All students must currently hold an active state RN license for acceptance into an MSN program, but some programs may require a specific degree of on-the-job experience as well. Some of the best programs will require that applicants have 1 year of nursing experience, other programs only recommend experience as a plus. You should check with the Office of Admissions at the college you would like to attend to check for school specific prerequisites. While some of these requirements are only recommended, it is in your best interest to fulfill all of the requirements and suggestions to strengthen your chances of getting into a program when the competition is stiff.